Stuck for things to do in Milton Keynes? Well you’re in luck! There’s plenty of things to do in Milton Keynes. Whether you’re visiting or live in MK this is the ultimate guide for you. If you find this helpful we’d kindly ask that you share this, it really helps. If you’re looking for coach hire in Milton Keynes please feel free to get in touch with us by filling in the form to the right. When thinking of things to do in Milton Keynes you have to start at shopping. Milton Keynes is the shopping capital of the UK and regardless of your inclinations there is something for you. thecentre:mk and Midsummer Place are the real heart of the Milton Keynes shopping scene. The full list of stores is too long to possibly list here but if you can imagine it, you’ll probably find it. They are effectively the same area but the area is so large you may have to sit down to catch your breath. Our picks are the Hollister store and Millies Cookies. If you go let us know what your favourite places were. Had enough of the Centre MK? There’s still more shopping to be had. There are over 400 shops in the city centre alone. If you can’t find it, you’re not looking hard enough! The Kingston Centre is a decent place to stop off at. The main shops are Next, Boots & Tescos. There are a handful of smaller stores and some restaurants. If bigger outlets are what you’re looking for MK1 would perhaps be a better bet. Whilst MK1 Shopping Centre doesn’t boast the most comprehensive list of shops they certainly have some of the biggest outlets. The list includes H&M, M&S, New Look, Next, Outfit/BHS, Primark and River Island. Basically if you’re looking for clothes…look here. In the towns and villages around Milton Keynes there is also plenty of shopping to be had if you’re willing to go the extra mile. Worthy of a mention is our very own town of Olney and Newport Pagnell, Woburn, Stony Stratford and Wolverton. These towns all have farmers markets each month and a range of boutique shops. 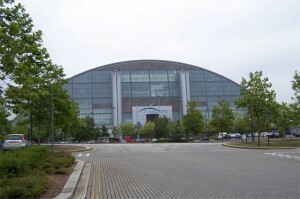 Within MK there are also French, German and Italian markets held within the city centre. Xscape is actually a cool place to shop if you’re into extreme sports gear & clothing, check it out for the surfer/skater look. If you’re looking for things to do in Milton Keynes in the evening then you should sample the awesome night life. People come from far and wide to go out in Milton Keynes so don’t miss out. Xscape is definately the place to start if you’re looking for the best clubs in MK. The clubs have a tendancy to change names and hands but at the time of writing the main clubs are WonderWorld & Revolution. The main bars are Moon Under Water & SNO!Bar. WonderWorld is definitely worth a visit, famed for it’s mystic and awesome atmosphere it’s probably the biggest club in MK. The Theatre District is a wonderful area of MK and our favourite place to spend a night. There’s a great selection of bars and clubs within walking distance of Xcsape. Our advice; start here, finish in WonderWorld. The Hub is a great place to spend the night too and with three major hotels nearby you really can. There’s an eclectic mix of restaurants and bars here and it’s worth checking out. There are over 300 pubs and clubs in and around MK. Have some fun and find somewhere obscure, we can’t help you here but we’re sure you’ll have fun! It’s not all shopping and drinking in Milton Keynes. There’s a lot more to be seen and taken in. Incredibly the MK theatre is the top theatre outside of the West End. There are several high end productions from musicals to operas and an annual panto! The MK Gallery is a wonderful place to visit and offers free exhibits of international art. It’s worth a look to see what exhibits are currently on to see what takes your fancy. The Milton Keynes City Orchestra is a must for any classical music fans. In the past 30 years or more it has cemented itself as a national and international venue for top quality performances. Of all the things to do in Milton Keynes The Stables is a favourite. Check them out for some fantastic music and sets. Some pretty big names in music of most genres and probably some of the best comedy sets outside of London. Planning a day out with the kids can be a nightmare or a joy. Here are some places we’d check out. Bounce is the first Indoor Trampoline Park centre in the UK! With over 22,000 square feet of interconnected indoor trampolines, including a foam pit, dodgeball court, basketball zone, cafe and more. Bounce is suitable for ages 3 and above and all levels of fitness. The Xscape slope isn’t reserved just for the grown ups. They offer skiing lessons for newbie youngsters and events for the more experienced skiers. For details of what you can get up to click here.